Hospice services have long been associated with providing quality, home-based care to individuals coping with terminal illness, but Regional Hospice provides additional supportive services for families coping with the death of a loved one. Composed, empathetic reassurance is critical in helping patients and families in the last hours of living. Care does not end until our team has helped the family with their grief reactions and helped those with complicated grief to get supplemental care. Grief counseling and support from our nurses, social workers and chaplains help assure the long-term mental and physical well-being of survivors of all ages by helping individuals adjust to their loss and express their feelings. Regional Hospice has staff available to offer grief support for individuals, schools or other groups who may be experiencing loss. Our Bereavement Coordinator has specific services geared for children, which are presented in a loving and supportive way. Regional Hospice Director of Operations, Sonya Newton has developed two companion pieces to help explain the natural process of dying to children. 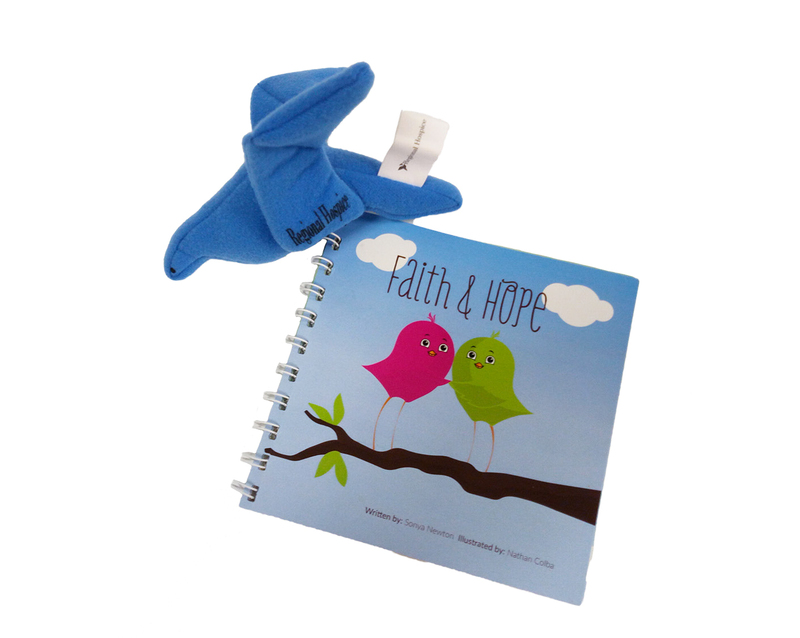 The book “Faith & Hope” tells a story of a daughter caring for her mother at the end of life and how hospice provides faith and hope. The book not only increases the understanding of the dying process, but also explains the importance of being with our loved ones at the end of their lives. 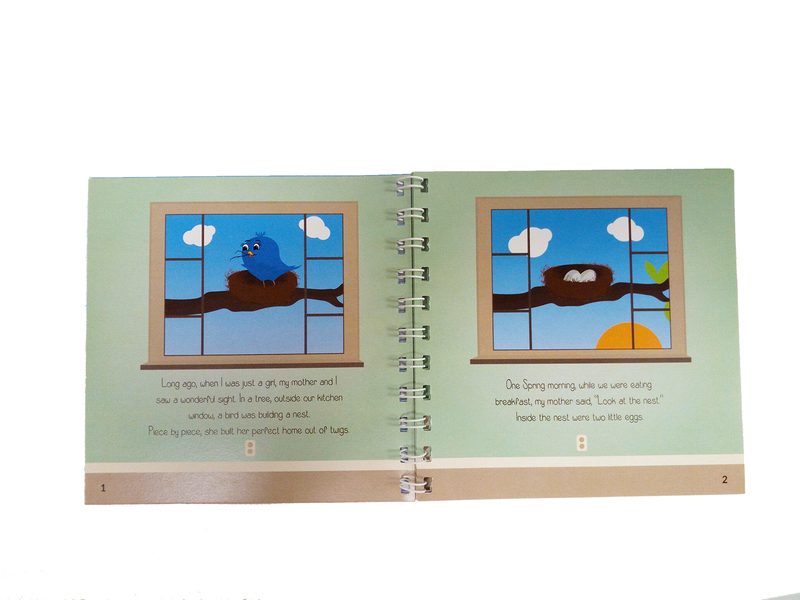 The goal for this book is to help initiate conversations between children and their parents. 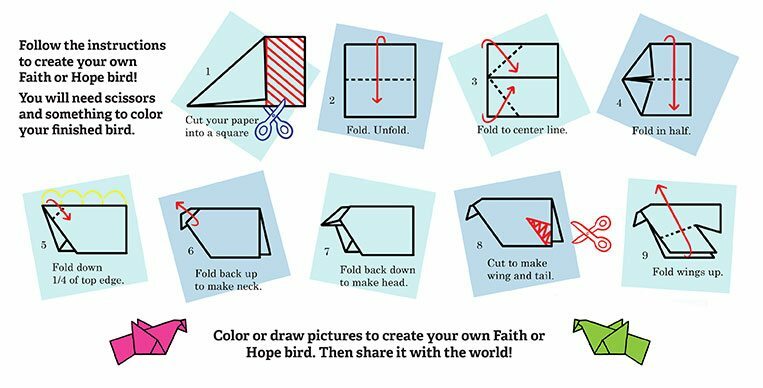 The origami craft page can be used to create your own Faith or Hope bird by coloring or drawing pictures on it. The Book and Origami Craft page is available to anyone who would like help in explaining the dying process to children. Please call our office at 417-832-0577 for more information.